What is Super Joint Enhancer Liquid? 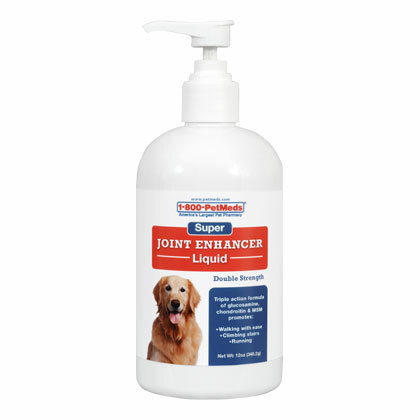 Our top selling joint supplement, Super Joint Enhancer, is now available in an easy-to-administer liquid. 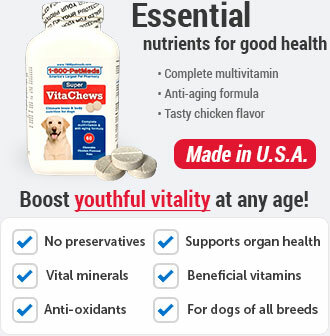 It is a tasty nutritional supplement with a triple action formula of glucosamine, chondroitin, and MSM to promote walking with ease, climbing stairs and running. 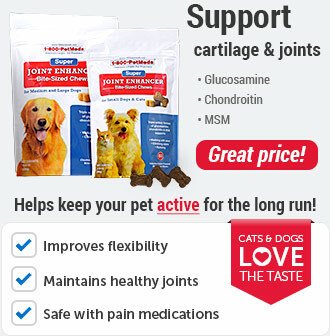 Our customers love it and write that it helps their pets maintain healthy joints and activity levels. Delicious butterscotch flavor and contains no sugar. Made in the USA. NOTE: Super Joint Enhancer is also available for dogs as pork and beef flavored Super Joint Enhancer chewable tablets with no sugar, as well as easy-to-administer chicken liver flavored Super Joint Enhancer Soft Chews for cats and dogs. How does Super Joint Enhancer Liquid work? 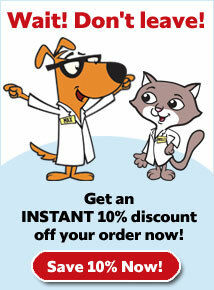 This product is for veterinary use in dogs and cats only. Safe use in pregnant pets or pets intended for breeding has not been proven. 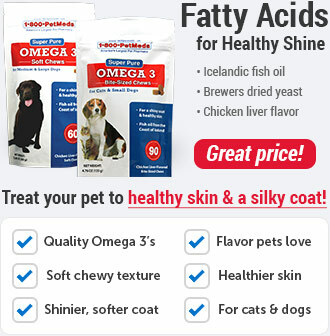 Consult with your veterinarian before using this product in pets: with clotting disorders, being treated with anticoagulant medications, diabetes, or any metabolic disorder causing hyperglycemia, history of urinary tract stones, or known allergies to shellfish. If lameness worsens, discontinue use and contact your veterinarian. Federal law prohibits the off-label use of this product in ruminants. 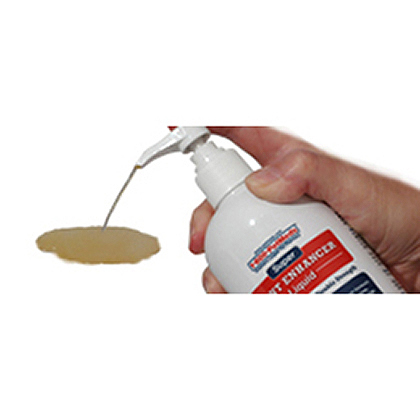 Super Joint Enhancer Liquid can be poured on top of food and mixed in, or given by mouth. Refer to the table below for recommended dosing. 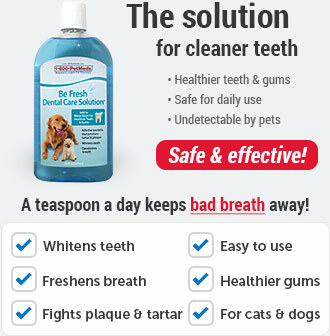 Double dosage amount for first 6 weeks and reduce over 3 weeks to recommended usage. 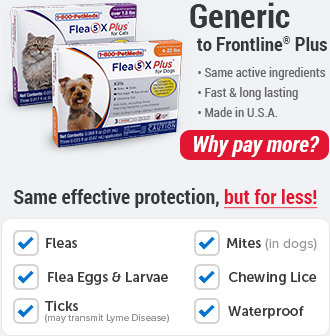 Response should be noticeable in 3 to 4 weeks, if not sooner, and varies depending on the animal's condition. To open, twist the pump dispenser head and pull up. Other Ingredients: De-mineralized water, natural flavors, potassium sorbate.